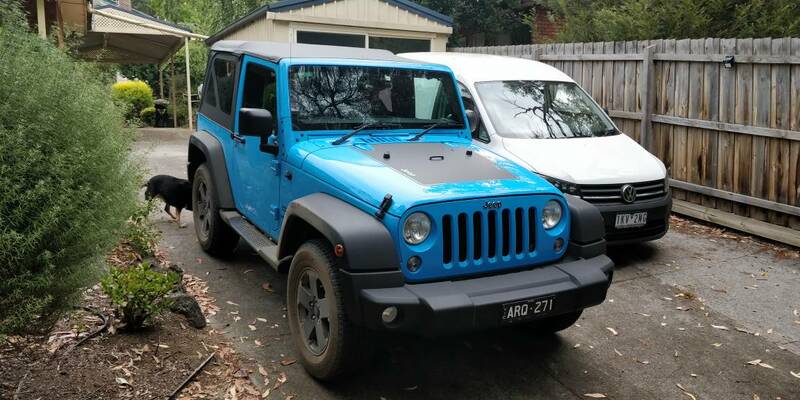 2 Door Sports - spacious for camping? Here we are 4 people for a camping trip with my former 2 door, its cumbersome and take alot of time to get al to fit. Here and my buddy are watching a movie and eating at the evening inside the 4 door abd the shelf in front of us acts like a table and we put our stuff on it and can sleep under it, very nice. I've bought the 2 door so I'm looking forward to picking it up and sharing a photo or two and definitely taking it camping! 1 x 3x3 free standing awning/sunshade. This takes up the most room. Then bedding, sleeping bags, , clothing bags, food, etc stacked on top of all this gear inside. 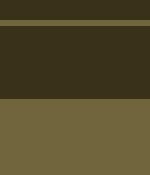 Also, I have a small recovery kit, maxx traxx, and compressor mixed in too. I rope this all down with bungee cords. Surprisingly, there is plenty of room to spare. However, this weekend another 2 people joined us. This required that the back seat be available. It definitely limited the space so we just put all of the soft bedding/clothing in a Rhino Rack luggage bag on top. I purchased the Rhino Rack at Autobarn when they had a special happening and went for the "half" bag. It worked perfectly and I highly recommend it. So, in conclusion, the 2 door is more than capable for 2 people with plenty of gear. Also capable for a weekend away with 4 people and all of the extras that go with that (2nd tent, sports bag, etc.). The only downside was exit entry for the backseat people as we were in and out all day every day, beach driving, etc. However, this will be rare for us as the visitors are from overseas so it won't be a regular occurrence. Side note: the stock tires are more than capable for heavy sand beach driving. The JK powered through some challening terrain when fully loaded. Last edited by Wallis; 11-02-2018 at 08:14 PM. Oops, sorry. I'm not sure why but the photo has uploaded upside down. Not sure how to fix it! 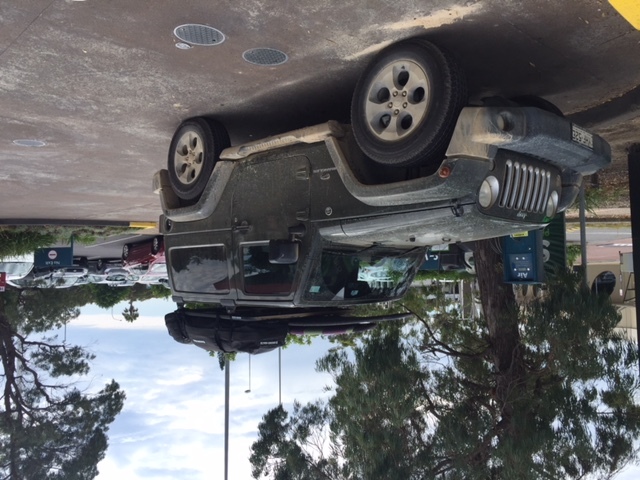 This bloke crossed the Simpson Desert in his JK 2dr with his girlfriend, he does not have all the fancy stuff, just packed smart and light. Thank you everyone, I got the Jeep and it's sitting in my driveway now. Here's a photo of it. Sorry it took me forever to upload it, I'm pretty bad at posting on forums and remembering to do that! I thought I'd give an update to this thread finally. I've been camping a few times now, I'm not a professional camper, more a "weekend warrior"! The jeep has been good. I usually just fold over the back seat and everything has fitted in fine. I've taken the swag, camping chairs, portable bbq, cooking stuff etc and it all fits in fine for 1-2 people. I think if I had a roof rack (still deciding on one that fits both the soft and hard top) you could squeeze in 4 people but i probably wouldn't do that!